This new model was produced through an ongoing collaboration with noted New York based graffiti artist and designer Eric Haze, and was specially designed to mark 2013 30th birthday of the G-SHOCK, the wristwatch that has been setting the standard for timekeeping toughness since 1983. 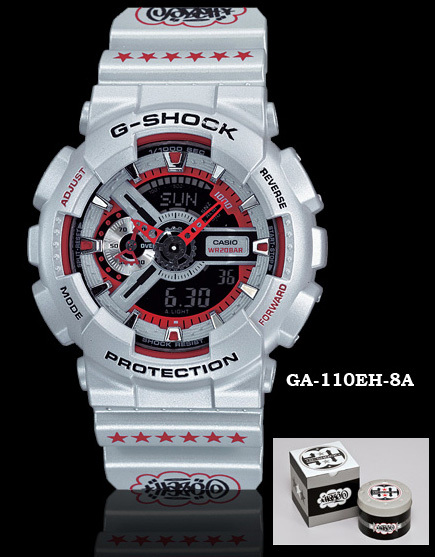 The back cover of the watch features a Haze-designed 30th anniversary logo, and the silver body is decorated with stars, which have become the identifying icon of Haze designs. The packaging also features Eric Haze signature black, white, and gray colors. 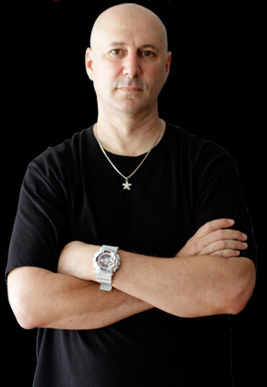 Born in New York in 1961, Eric Haze literally made his mark-on the walls of New York's subways and streets where he established his own unique graffiti style. Haze went on to hit the hip-hop world in the 1980s with a large number of innovative works. In 1991, he launched his own street label, and became a world famous artist who has taken part in various designs and projects around the globe. 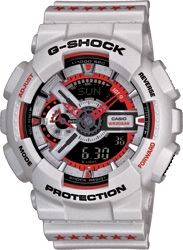 The collaborative relationship between G-SHOCK and Haze began in 1999, with Haze designing his first signature model, and has continued to progress for nearly a decade.